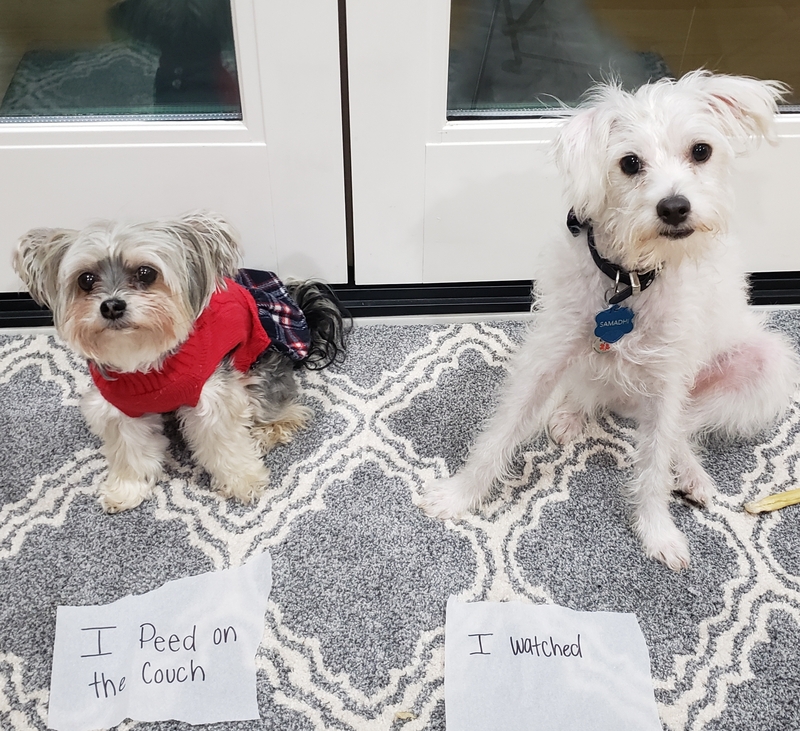 Posted December 19th, 2018 by dogkeeper & filed under dogshaming, Double Trouble, Piddle Party, Submitted. Mia peed on the headrest of the couch, Samadhi watched. 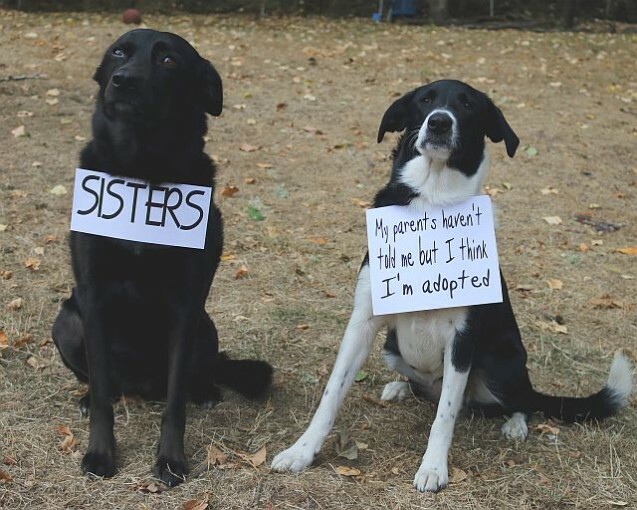 Posted November 1st, 2018 by dogkeeper & filed under Double Trouble. 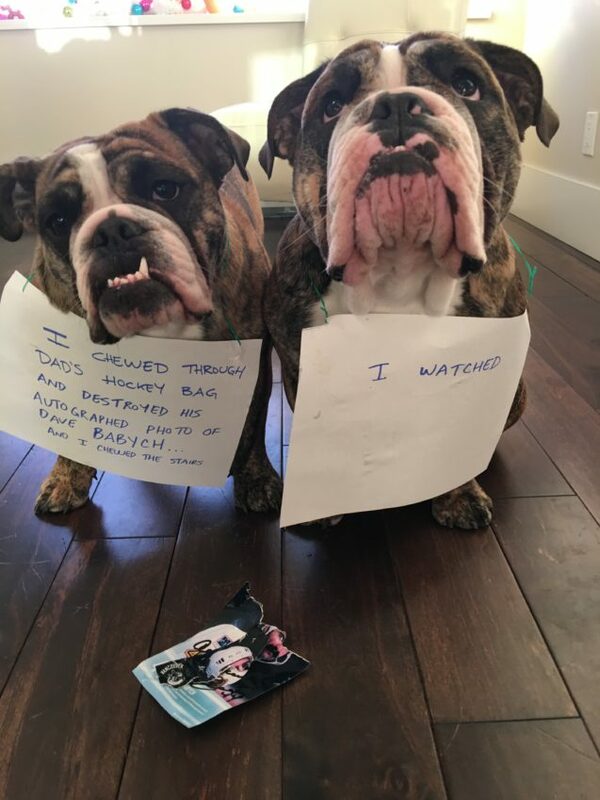 Christina’s two pups Chester and Barney are really two howl-o-ween pups up to no good! I Retrieved the Stuffing! No, I did!! 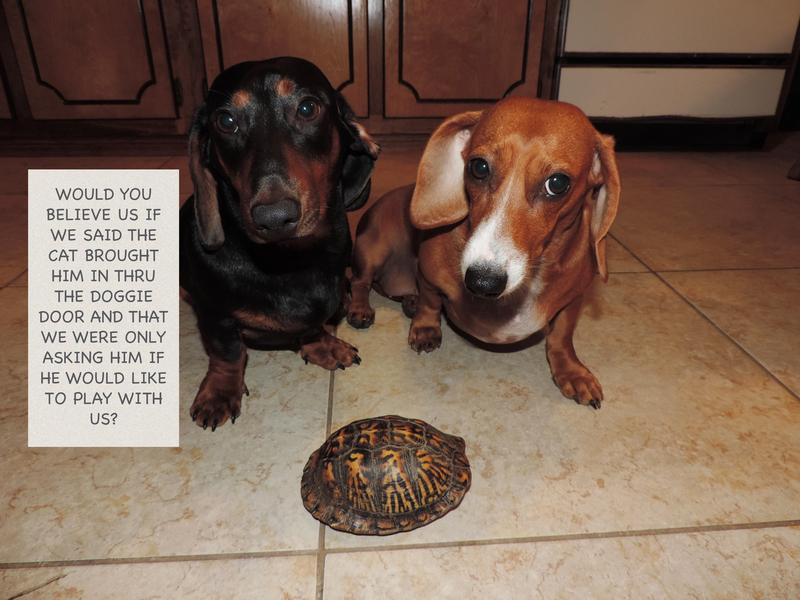 Posted September 1st, 2018 by dogkeeper & filed under Double Trouble, Submitted. Our two Golden Retrievers love all stuffed animals but use them to play ‘tug’ with them. I am soon finding the stuffing all over the rug. 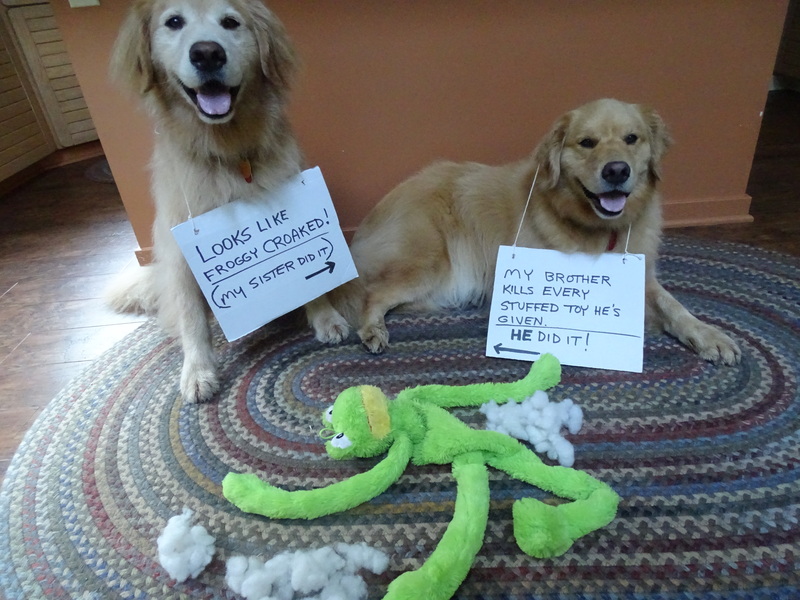 They really don’t seem to care what they did to poor Froggy! 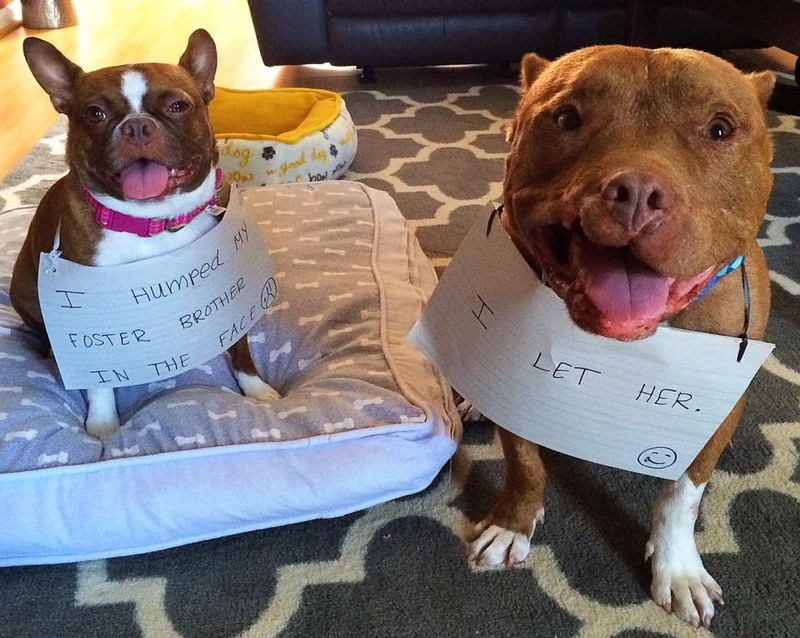 Posted April 22nd, 2018 by dogkeeper & filed under Double Trouble, Submitted. Echo, our new puppy, scaled a baby gate and unzipped mom’s suitcase to get to the Apple Pie Larabars that mom packs as snacks while she travels. Echo then scaled the baby gate back and nothing was amiss until Echo started pooping nuts and vomiting raisins. Biscuit, the helpful older sister, helped us parents by cleaning up her baby sister’s vomit. 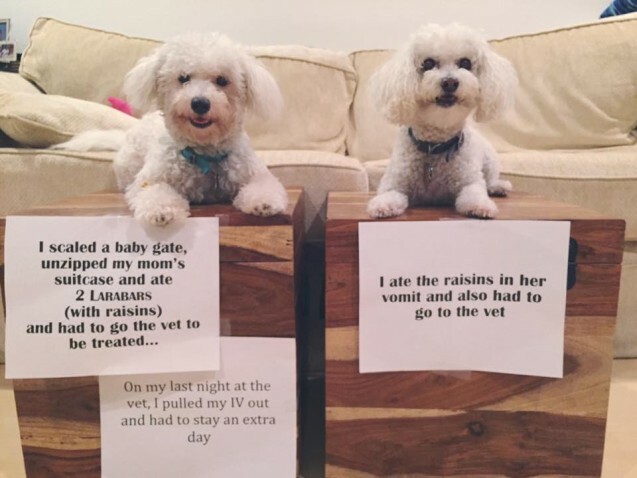 Unfortunately the raisins in Larabars are toxic to fluffs and off to the vet they went for treatment. Happy to report all fluffs are back and healthy, but only after Echo decided to remove the catheter from the IV drip OUTSIDE of her crate! 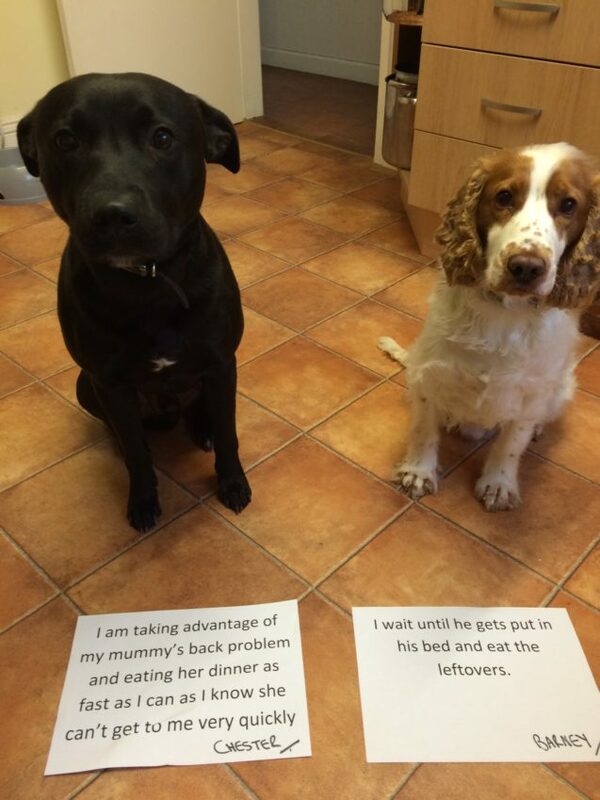 Posted March 23rd, 2018 by dogkeeper & filed under Double Trouble, Submitted. Posted March 14th, 2018 by dogkeeper & filed under Disgusting Doggies, Double Trouble, Submitted. Posted February 18th, 2018 by dogkeeper & filed under Double Trouble, Submitted. She ripped the basil out of the plant. He rubbed it into the carpet. 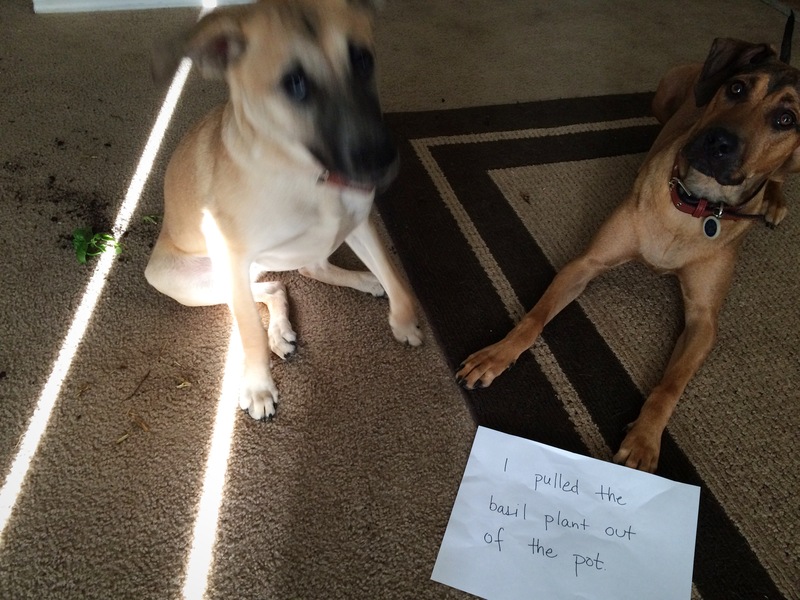 Posted February 15th, 2018 by dogkeeper & filed under Double Trouble, Pilfering Pooches, Submitted. I made these delicious ooey-gooey bars. They had 2 cups of brown sugar and 2 cups of semi-sweet chocolate in them! My fiancée left them out on the counter and left. 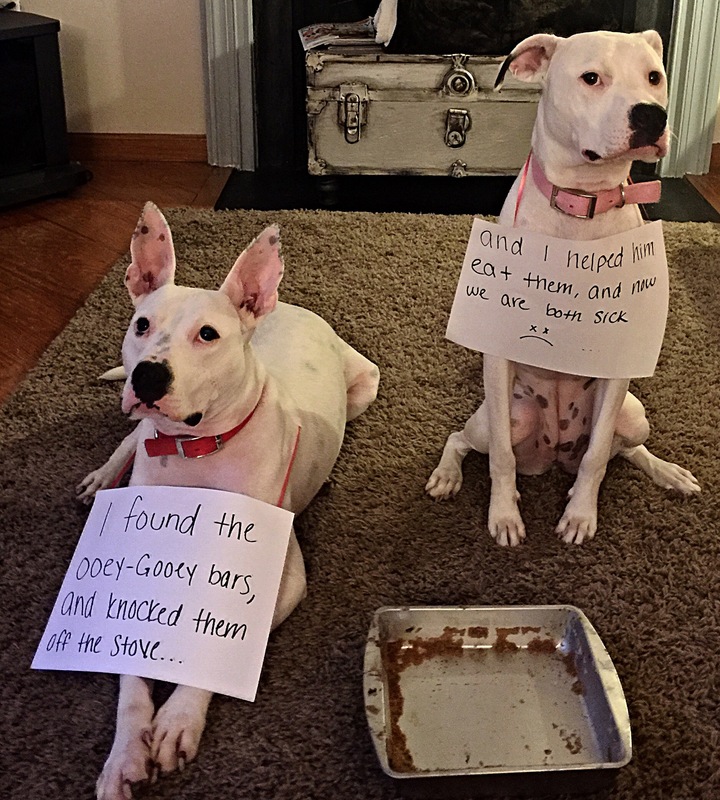 My pups knew right where they were and went to town. No more oogy-gooey bars.